It seems nearly everyone these days is obsessed with viral online content 7 Secrets to Posting Viral Videos Everyone Will Share 7 Secrets to Posting Viral Videos Everyone Will Share For people trying to get their carefully crafted video to spread across the Internet, understanding why people choose to share some things and not others has become a bit of a science. Read More . From the never-ending stream of “fails” to the latest political gaffe, there’s always something new being uncovered on the Internet. YouTube has rolled out a new page that will give you yet another way to see what’s hot at the moment. 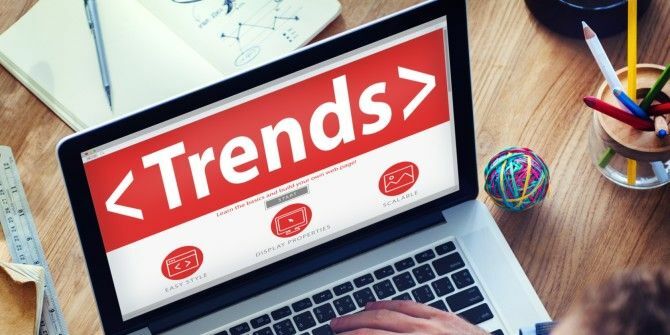 The new YouTube Trending Page collects recent videos that are surging in popularity based on their view count, number of comments, and other sites linking to them. Most of the videos on the page are only a day or two old, and hold anywhere from 80,000 to 3,000,000 views. While your location might affect which videos you see, they aren’t influenced by your watch history (which you can clear How to Delete Your YouTube History Once and for All How to Delete Your YouTube History Once and for All Sick of YouTube's recommendations or don't want to keep a record of what you've watched? Clear your watched videos and stop YouTube from remembering what you watch in the future. Read More ). Also, YouTube may filter explicit content out of this feed. You can also browse this section from the YouTube app on Android and iOS. Not everyone will care about this feature, but it’s a nice way to see what’s on the cusp of going viral. You’ll probably want to find your news elsewhere, but if you enjoy reading Facebook’s trends and Twitter’s trending topics, this page might be worth a stop on your daily trek around the Web. Interested in more viral content? It might be hard to believe, but videos went viral before YouTube and social media Here's How Videos Went Viral Before YouTube And Social Media Here's How Videos Went Viral Before YouTube And Social Media YouTube didn't invent viral videos — it merely gave us a more efficient way to distribute them. Here's how content went viral pre-2005. Read More , too. Have you found any neat videos through the new Trending page? Let us know of any cool finds below!